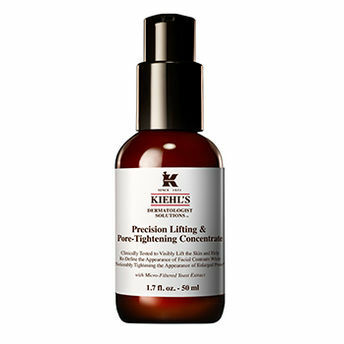 Visibly lift and tighten skin with Kiehl’s pore-minimizing serum. This facial serum helps redefine the appearance of facial contours while minimizing the appearance of enlarged pores. The skin feels smoother, firmer and more lifted with this potent facial concentrate.